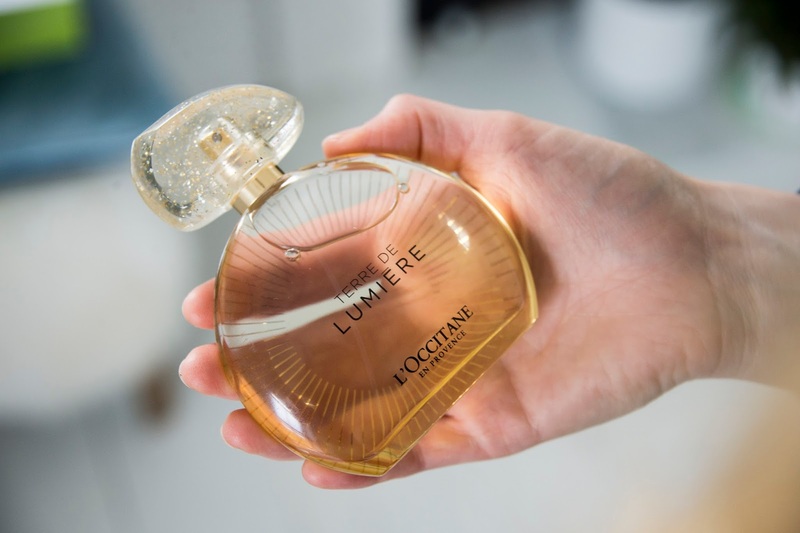 The other day, I was wondering about the way I would style this particular post and it got me thinking about fragrance in general and how choosing the right one is ALWAYS such a personal thing. 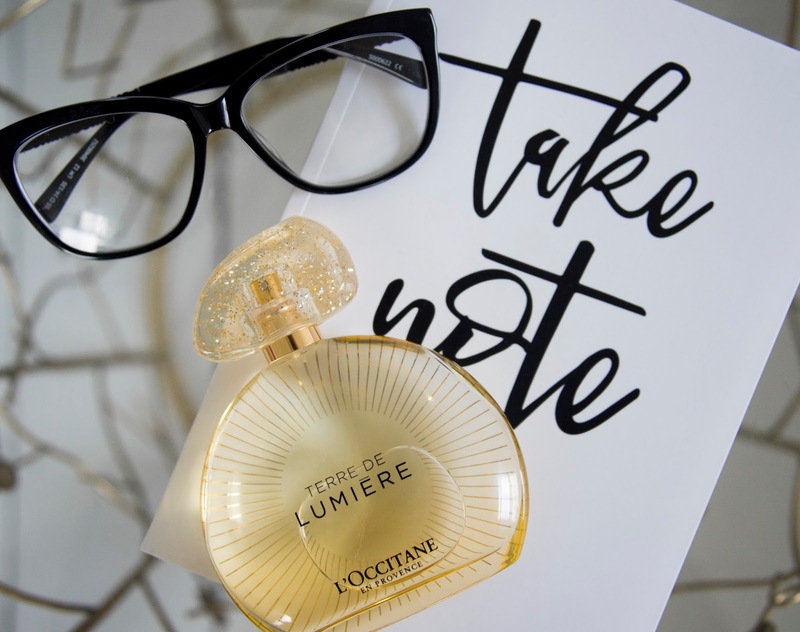 When you think of the way certain notes can conjure memories or even feelings in an individual; it's no wonder that the simple action of spritzing some perfume on can boost your mood and make you feel ready to conquer the day! I know that I tend to go through phases of wearing the same perfume for weeks, (even months on end), before eventually changing it up and trying something new. And it's only now, after years of doing this, I realize when I do revisit old favourites, they're laden with memories and bring back the happiest, (sometimes most random) moments of the past and I absolutely love it when that happens! Maybe I'm unearthing some strange attachment problem here, even so, I can't help but think scent speaks to us on a different level. It goes beyond what is concrete and encourages the other senses to come alive. 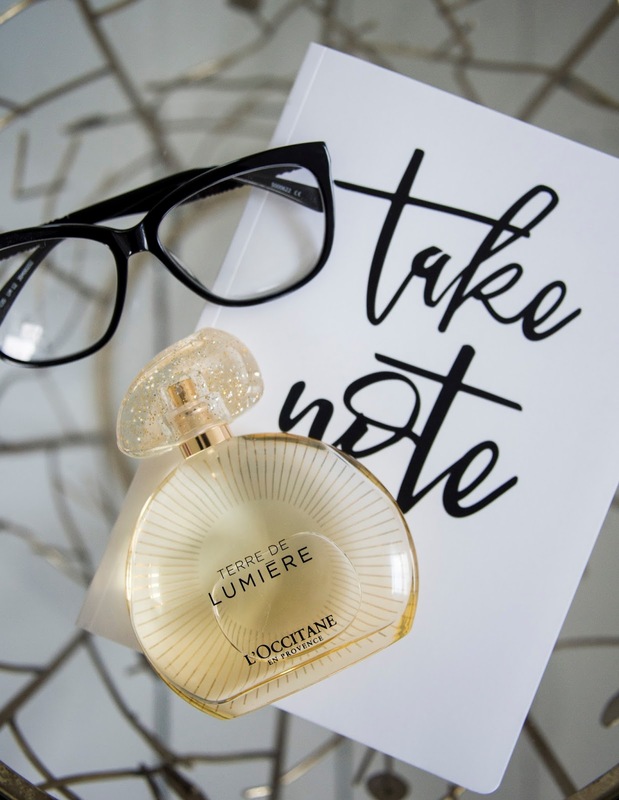 I love that the right fragrance can set you up for a good day, that it can calm jittery nerves or even boost your confidence. It's almost akin to wearing an invisible skin that conveys a part of your personality before you even open your mouth to speak. As you can probably tell, I'm a big fan of fragrance too. I think I just feel a little more polished when I apply some before flying out the door to do the school run in the morning. Wearing it makes me feel more energized and sparky, which, considering our lifestyle with three little boys to parent, is surely no bad thing! 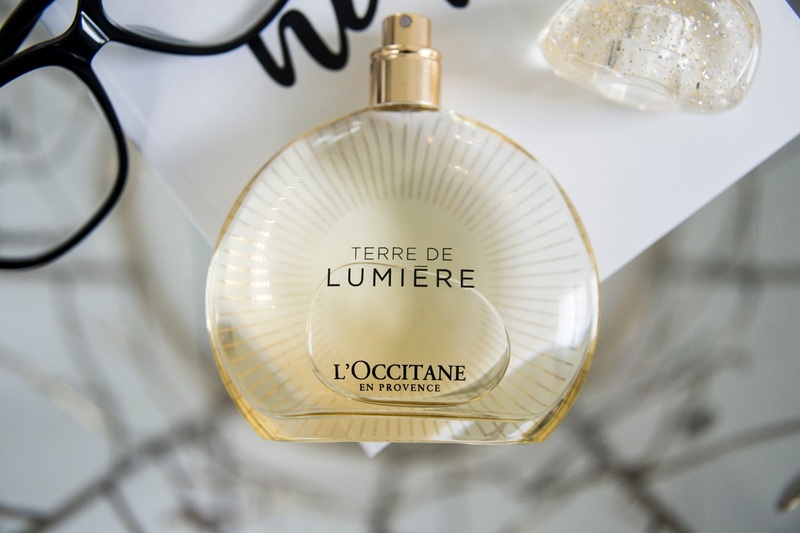 L'Occitane have recently released a new fragrance, Terre de Lumiere which is featured in their Christmas gift-guide and it really is a stunning addition to their collection. Inspired by the 'golden hour' in Province; a short moment at dusk as the sun falls and the sky fills with golden light, this perfume is utterly beautiful. Wearing it, I can't help but close my eyes for a moment and imagine those balmy sunsets, captured and bottled in this beautiful glass. 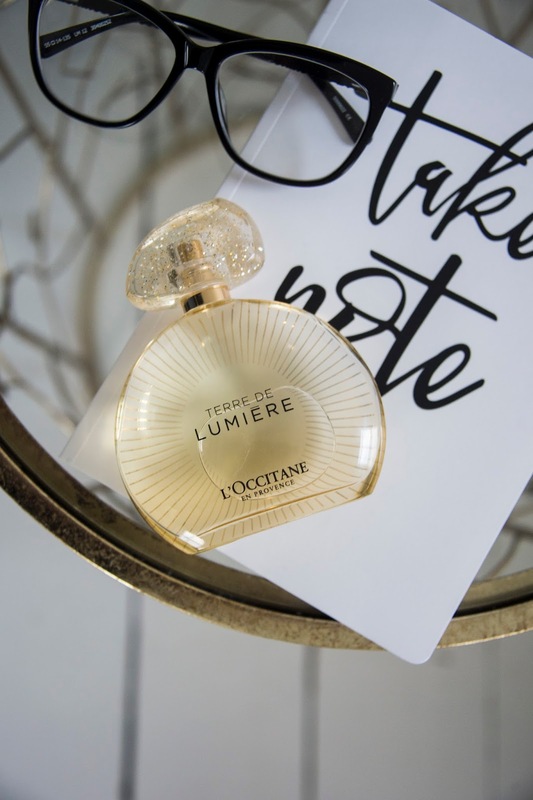 Everything from the romantic, beautiful notes infusing zest, balsamic and musk, to the packaging (complete with gold-flecked cap! ), Terre de Lumiere just oozes luxury and makes me long to see those warm, golden sunsets in Province too. I've a feeling I know what my newest 'go to' scent for the Christmas season is going to be...and possibly my next dream holiday destination too!